Gulmarg, an old Raj hill station, has reinvented itself as a ski resort, boasting the highest gondola on earth and guaranteed Himalayan snow. more about Gulmarg Ski Resort. Ischgl ski resort is situated high in the Paznaun valley in the heart of the stunning Silvretta mountians. An efficient high altitude lift system and beautiful scenery makes Ischgl a paradise for skiers. Ischgl has more than 40 ski lifts, most of them ultra-fast, including some fantastic eight man chairs lifts, and even, heated gondolas. Not only do they not swing, they don't break down, and most have windshields. The skiing is superb. It's a massive area, more than 230km, most of it high - the top point, the Palinkopf, is 2,865m - so snow is pretty much guaranteed right up to May. 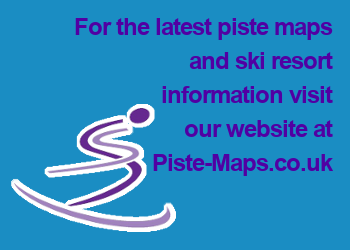 The pistes are being continually widened, big sweeping runs, which all skiers can enjoy. The huge run from the Palinkopf back to the village, more than 1,400m of drop. The Swiss/Austrian border crosses the slopes, and you can drop over onto the Swiss side for a magnificent run, quite one of the best and most varied in the Alps, to the Swiss duty-free pocket of Samnaun. The way back to Austria is via an amazing double-decker cable car - grab the top deck for the best views. The runs back in to Ischgl steepen slightly towards the bottom and get very crowded at the end of the day. So: you might want to take one of the three high-speed gondolas back from the mid-station. Or retire to the Alpenhaus at Idalp for a beer or two, and then make the journey back in glorious isolation as the pink Alpenglow starts to bathe the peaks. There is a lot of good off-piste skiing (hire a guide off the back of Alp Trida) and it doesn't get tracked out too quickly. This place has not yet pulled in the powder fiends of Chamonix or Alagna, so you can practise your more leisurely off-piste with a certain self-belief. And you'll have plenty of opportunities, too. Even on a day with early morning fresh snow, there won't be that many people out. Műnich: 300km (187 miles); Salzburg: 300km (187 miles). Bus services available from these airports. Landeck: 30km (19 miles) by rail; frequent bus services from railway station. No of Ski Lifts: 42. 3 gondolas, 2 aerial ropeways, 23 chair, 12 drag. Marked Pistes: Whole area: 340km, Ischgl: 230km. 30% beginner, 50% intermediate, 20% advanced. Large ski area; snow-sure slopes; lively nightlife. Not recommended for beginners, expensive.